July 17, 2017 -Springfield- On Saturday, July 15, 2017 the Springfield Police Department responded to a crash involving a bicyclist and tractor trailer near the area of Rocus Street and Page Boulevard. 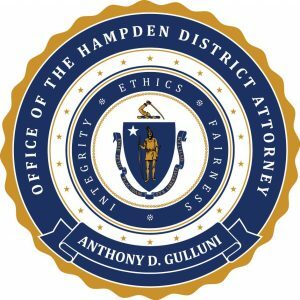 Due to the tragic circumstances of the accident, an assistant district attorney assigned to the Hampden District Attorney’s Office’s Motor Vehicle Homicide Unit responded, as well. The investigation into the crash remains open but speed and alcohol do not appear to be factors. The victim of the early morning crash has been identified as Mr. Lawrence Henry, 51, of Springfield, Ma. Hampden District Attorney Anthony D. Gulluni offers his sympathies to Mr. Henry’s family and friends during this difficult time. Hampden District Attorney © 2019. All Rights Reserved.